1. Starcraft made its debut at the 1996 Electronic Entertainment Expo (E3) trade fair, but after much criticism from the public it was totally revamped before being shown again in 1997, when it received a much more favourable response. The plot revolved around three races battling it out in the Koprulu sector of the Milky Way - The Terrans (humans banished from Earth), the Zerg (insect aliens) and Protoss (an advanced humanoid species). 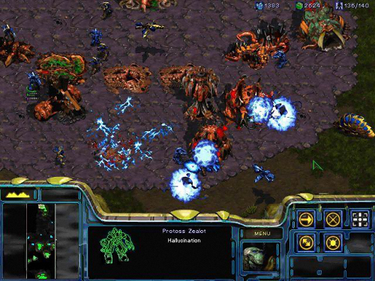 When the sci-fi/war game was eventually released in March 1998 for the PC, the public couldn't get enough of it, and Starcraft became one of the best-selling and most highly-praised PC games of all time. 2. 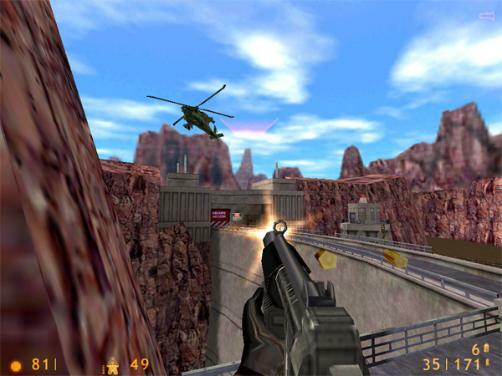 Half-Life was a first person sci-fi shooter than came before (and influenced) most of the big shooter games, and set the standard for nearly every other FPS that followed it. Before playing this game, I used to make sure that I had an entire evening to myself, because once you start playing you just can't stop! Released by Sierra Entertainment in November 1998 for Windows 95 and 98, the game went on to win no less than fifty PC Game Of The Year awards - an incredible achievement! It was eventually released for the Playstation 2 in 2001. 3. Doom was the original game in the series, and was responsible for significantly increasing the popularity the first-person shooter. Released in December 1993, this was one of the first games that you could immerse yourself in a true 3D world. The sci-fi/horror game featured a fair amount of satanic images and gore, which caused much controversy. Indeed, Doom was the first computer game to be associated with increasing gun crime and violence on our streets. The screenshot is from level six - Central Processing - from episode one, which sees our Space Marine (this is the character you play the role of) carrying a chainsaw as a weapon, about to face a horde of zombies. 4. Duke Nukem 3D is another controversial game, not only because of the violence, but because of the way it portrays women. 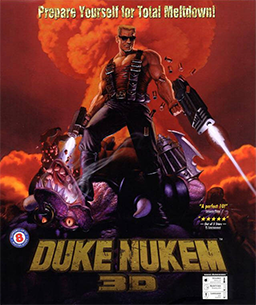 The sequel to Duke Nukem II was released in January 1996, and it's yet another FPS in the list. With a high level of interactivity with the surrounding environment, nicely designed levels, and bucketloads of weapons and monsters, this game was fun with a capital F. I was contemplating leaving both Doom and Duke Nukem 3D out of the list due to the controversy surrounding them, but this is a list of the most playable games of the 90s, and attacking computer games with graphics that were really not that realistic (by today's standards, at least) was controversial in itself, particularly with many movies of the 90s containing far worse, and more realistic violence - Resevoir Dogs is one example. 5. 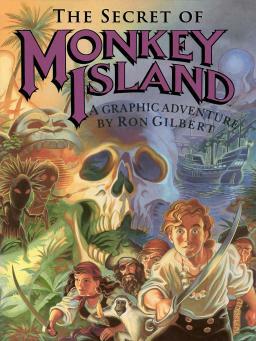 The Secret Of Monkey Island. Now I wanted to include Unreal Tournament in the list, but I decided on this brilliant point and click adventure game instead, which was released by Lucasfilm Games in 1990. The game features great attention to detail, and the excellent humour really added to the enjoyment. The puzzles are fun and addictive, and with smooth animation and wonderful music, this all adds up to one heck of a game. You play the role of Guybrush Threepwood, interacting with the environment and other characters using traditional adventure game commands such as "talk to" and "pick up". What wasn't traditional was the conversation tree mechanism. In fact, this was one of the first adventure games of the 90s to use such a system, in which, you're given a choice of what to say to the other characters. Worst Atari 2600 Games Ever! Worst ZX Spectrum Games Ever!